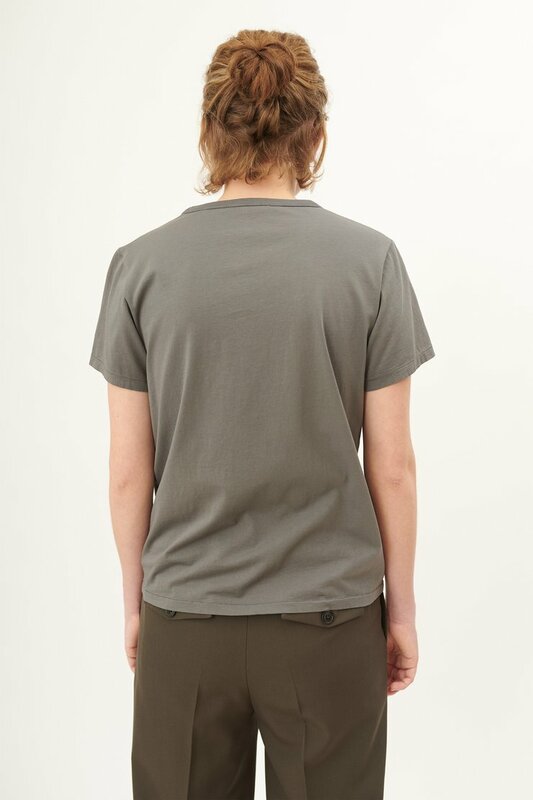 Our First T-Shirt in Trash Olive Clean Jersey. 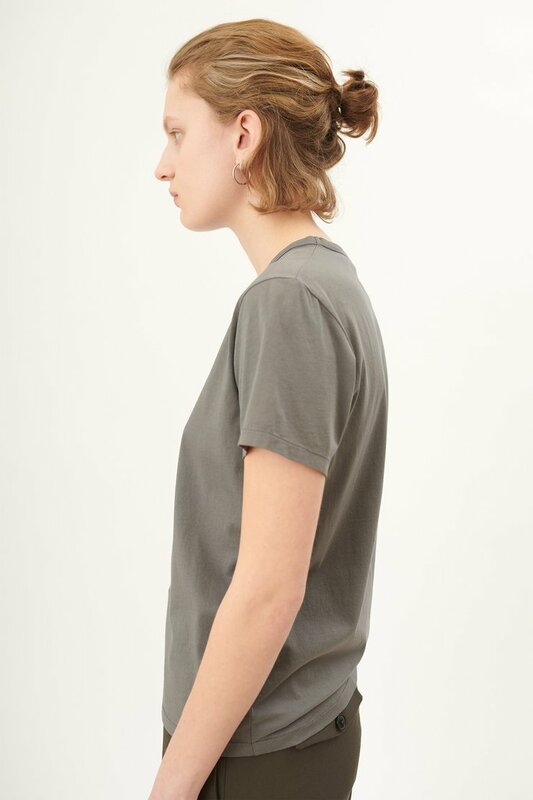 Produced in a soft compact cotton jersey, our First T-Shirt has a regular fit and a fine rib bound neckline. Our First T-Shirt is true to size with a regular fit. The model is 178 cm tall and is wearing a size 36.